Mrs. Rose (Puglise) Gallucci, widow of Antonio Gallucci, of 106 Edwards Street, Hartford, was born September 10, 1890 in New York City, daughter of Italian born parents Mary (Tolisano) and Leonardo Puglise. She was found dead at the circus grounds after the fire on July 6 and was buried at Mt. St. Benedict Cemetery in Bloomfield after services at Laraia & Sagarino Funeral Home. 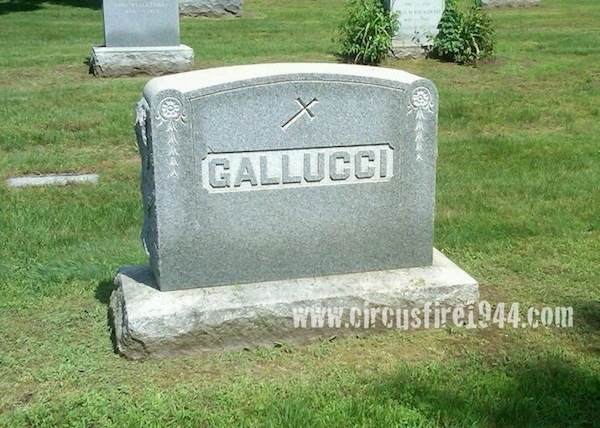 Mrs. Gallucci's daughter Mrs. Katherine DeNezzo, 35, and two grandchildren Joseph DeNezzo, Jr., 3, and Mary Jane Gallucci, 5, were also victims of the circus fire. 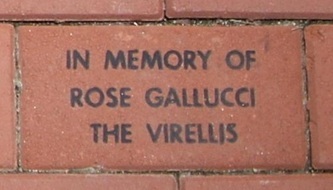 Rose leaves her daughter, Mary Gallucci, 34; her sons John Gallucci, 32, and Leonard A. Gallucci, 30; her brothers Nicholas Puglise, 50, Leo Puglise, 48, John Puglise, 46, and Leonard Puglise, 45; and her sister Mrs. Mae Lunt, 48. 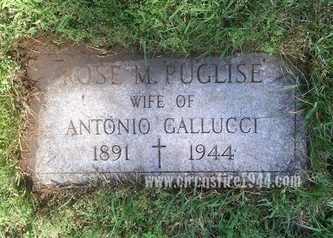 Body #1546 was identified at the State Armory as Rose Gallucci by her son Leonard and her son-in-law Joseph DeNezzo on July 7. 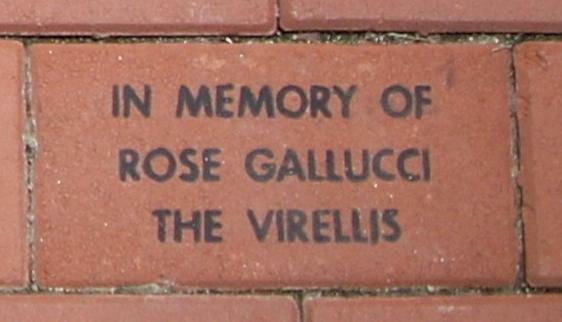 Mrs. Gallucci's estate was awarded $7,500 by the arbitration board.